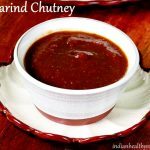 Tamarind chutney or imli chutney is a popular Indian condiment used to make chaats and is also served with snacks like samosas. 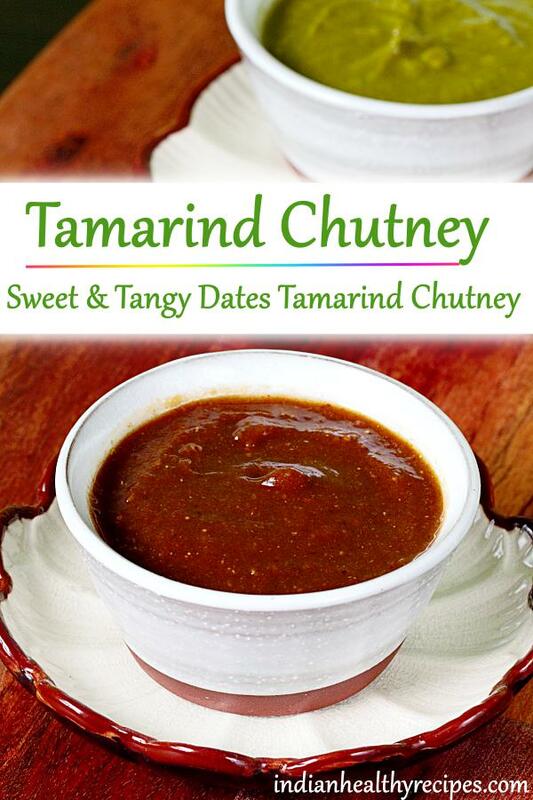 This sweet & tangy tamarind chutney is extremely flavorful and tastes delicious. A well prepared tamarind chutney elevates the taste & flavor of the chaats. 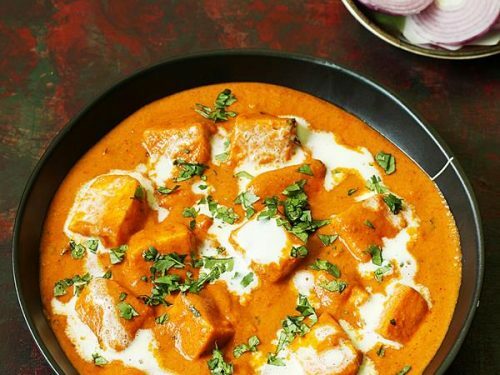 So one of the key step to make good chaats is to make a good tamarind chutney which has the right balance of sweet, tang and spice with bursting flavors. 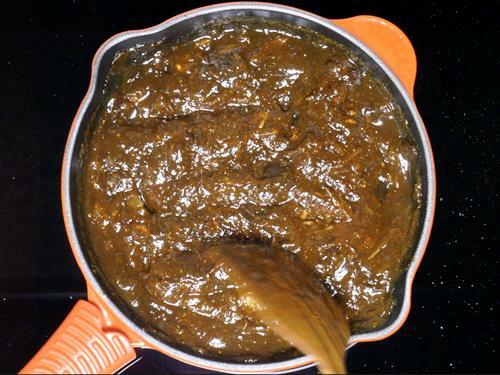 Tamarind chutney is a sweet & sour condiment made with tamarind, salt, jaggery & spice powders. 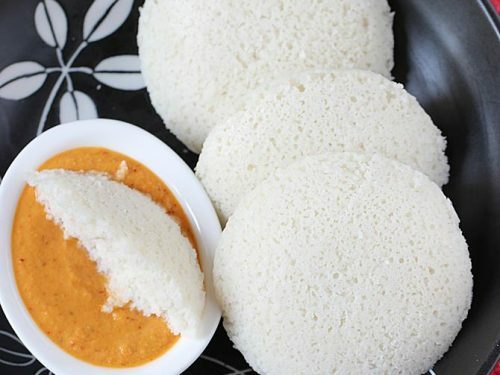 Tamarind chutney is prepared in 2 ways. The first one is for making chaats and the second one is for serving with snacks like samosas, pakora etc. Imli chutney, Green chutney and red chutney are the 3 most commonly used condiments to make chaats. 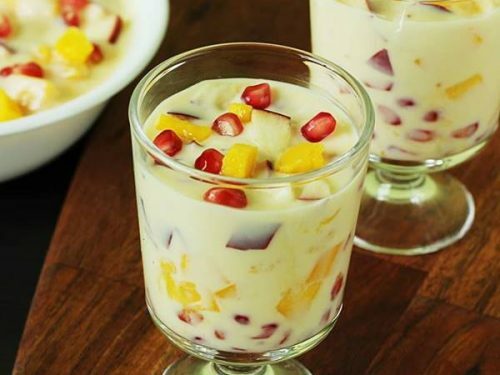 In this post I am sharing the first one which is healthy and very simple to make at home. I usually bottle this chutney in a glass jar & keep it refrigerated for a couple of months. It is easy for me to make chaats whenever my kids demand. I dilute the tamarind chutney with little water to bring to consistency when needed. Then use it. 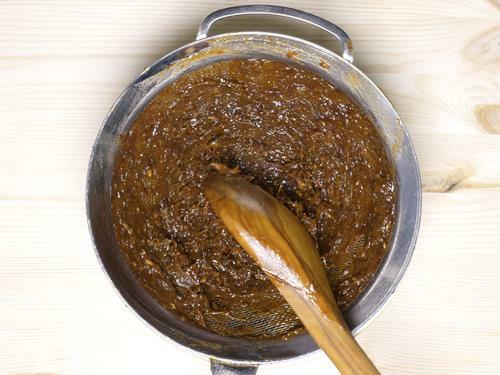 This tamarind chutney is made using tamarind, dates, jaggery & spice powders. 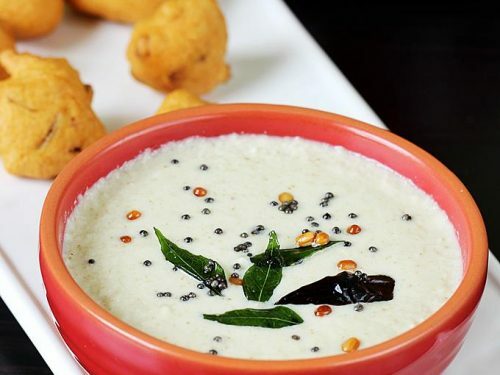 You can also skip dates from this chutney but the flavor of the chutney is much superior with the addition of dates or some raisins. 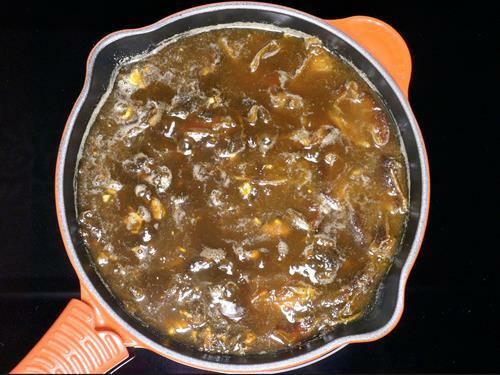 It is good to make this tamarind chutney thick if you plan to store it in a bottle as it helps for longer shelf life. When ever needed you can just scoop a little and add water to bring to consistency. 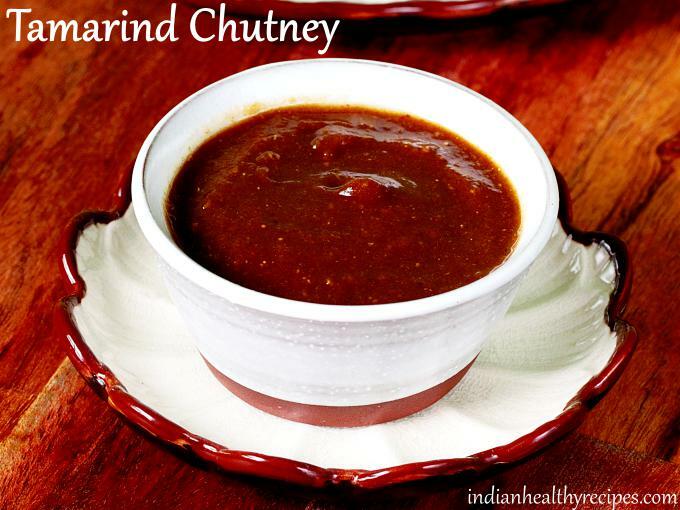 Tamarind chutney or imli chutney is a popular condiment used to make Indian chaats. 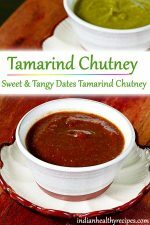 This tamarind chutney is great on flavors and is finger licking good. Heat half tsp ghee in a pot and add hing to it. Pour water and heat it. Deseed the tamarind and dates if any. 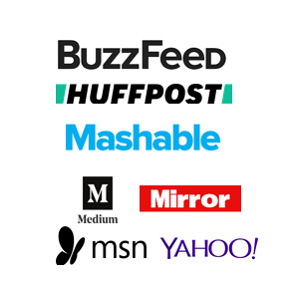 Add them to the pot. Also add jaggery. Boil all the 3 ingredients until dates & tamarind turns very soft. If the mixture turns too thick then you can add up another half cup water. Some kind of dates and tamarind need more water. Add red chili powder, salt, saunf powder, coriander powder, ginger powder and jeera powder. Mix all of these and continue to cook further for 2 to 3 mins until the flavor of the spices comes out. Add the entire mixture to a blender jar and blend until smooth. Place a sieve or colander over a large bowl. Then transfer the pureed dates tamarind chutney to it and pass through. 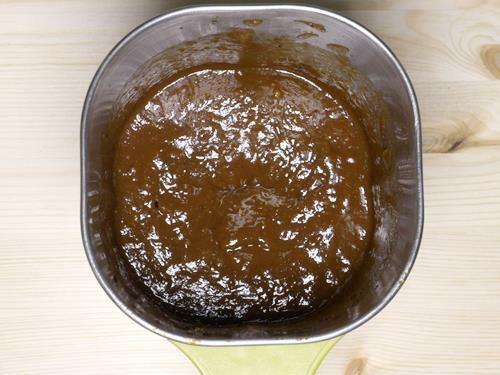 You will get smooth thick tamarind chutney. Add this to a clean moist free glass bottle and store in refrigerator for up to 6 weeks. 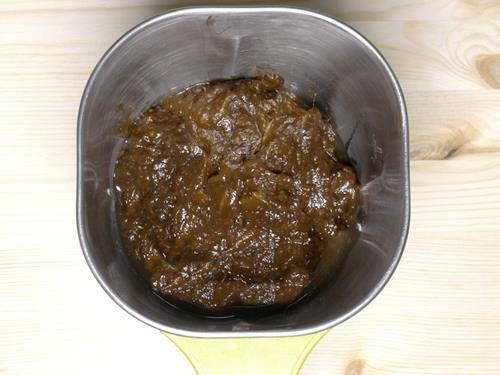 This chutney turns thick due to the addition of dates. So you will need to bring to consistency before using in chaats. Scoop a few tbsps from the bottle to a bowl and add some hot water. Mix up well. This will refresh your tamarind chutney. 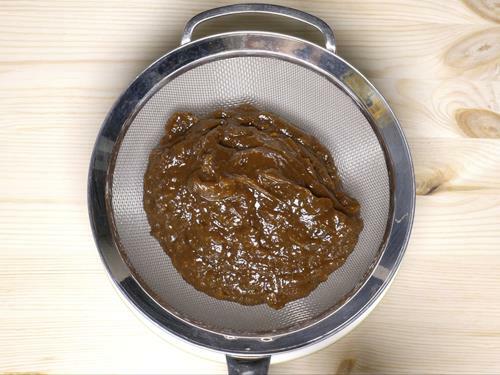 For better shelf life, use a moist free colander to filter the chutney. Bottle it in a clean moist free glass jar. 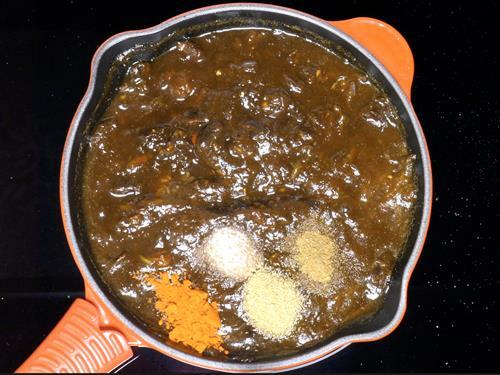 Handle the tamarind chutney with moist free spoons and avoid adding water to the bottle. 1.Heat ghee in a pot or pan. When it turns hot, add hing . Immediately pour water. 2.Clean the tamarind. Deseed the dates. Add both to the pot of water. 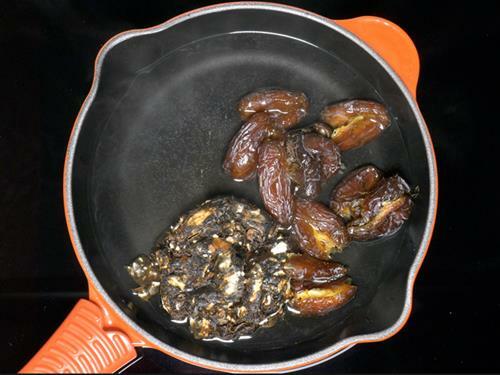 If you do not have dates, you can add a handful of raisins or just skip them completely. Reduce water by ½ to ¾ cup if you skip dates. 4. Boil them until completely soft. 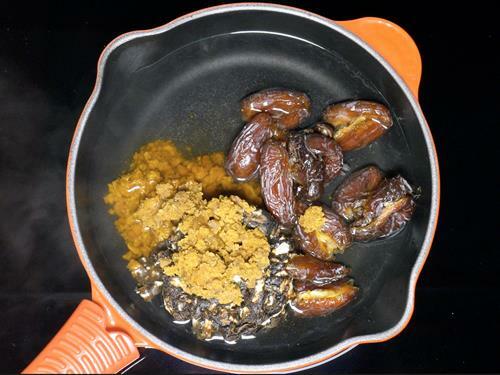 Dates must turn completely mushy. If you feel the mixture needs more water, add another half cup. Some variety of tamarind and dates are harder and need more water to soften. 5. Add all the spice powders and salt. Mix well. Cook for another 2 to 3 mins for the flavors to come out. 6. Cool this dates tamarind mixture completely. 7. Add the cooled mixture to a blender jar. 8. 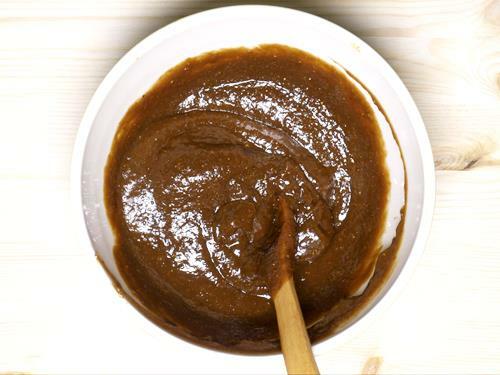 Blend until you get a smooth tamarind chutney. 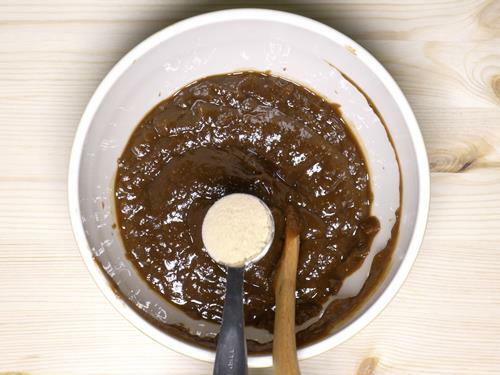 9.Place a sieve over a large bowl and add the pureed imli chutney. 10. Pass it through the sieve. Do not use your hand to pass through if you intend to preserve it. Using hand may reduce the shelf life. A strong ladle will help you pass it through easily. 11. Check salt and add more if needed. I prefer to add ginger powder towards the end, just a personal preference not to boil it. 12. Mix everything well. You will get a thick sweet tangy tamarind chutney that is finger licking good. Clean a glass jar and ensure it is moist free. Transfer imli chutney to it. Cover and refrigerate. It keeps good for about 2 months if you handle it with moist free hands and spoons. Scoop some chutney from the bottle to a bowl. Pour a few tbsps of hot water to the bowl and mix it to bring to a consistency you desire. This will refresh the tamarind chutney. 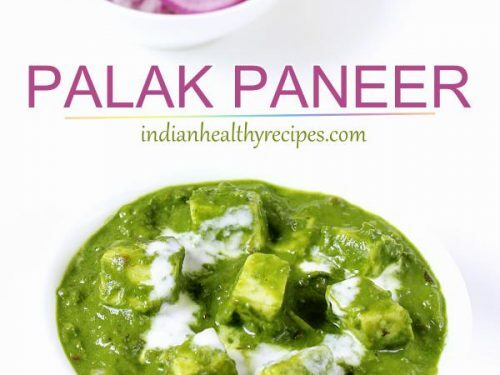 Use it in chaats such as bhel puri, pani puri, papdi chaat, sev puri, dahi vada and many more. 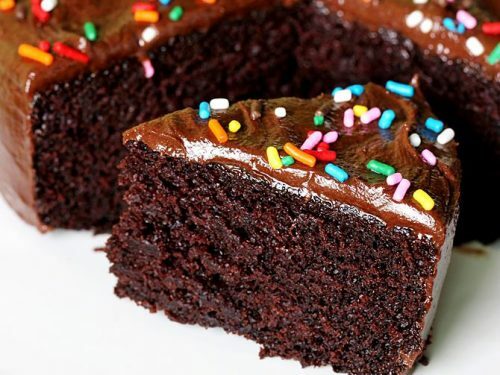 You can use about 3/4 cup jaggery. Just before turning off the stove, taste it and add more if needed.